There is limited research that focuses specifically on Traveller women’s mental health in the Republic of Ireland. Exchange House Ireland and National Traveller Women’s Forum undertook to investigate Traveller Women’s understanding and experience of mental health. The research took place in late 2016 to 2017 and it included Traveller women from across Ireland, rural and urban and from 20 to 67 years of age. 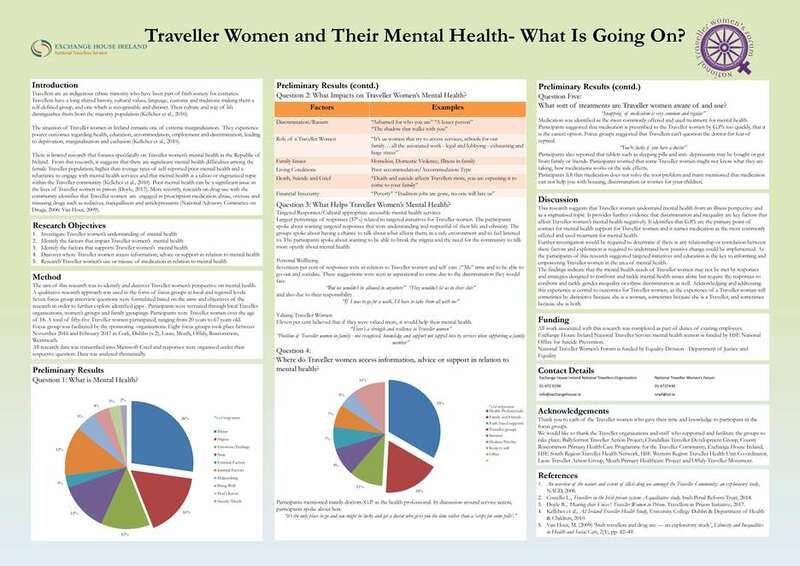 The research poster was presented at The 7th World Congress on Women’s Mental Health 2017 in Dublin.